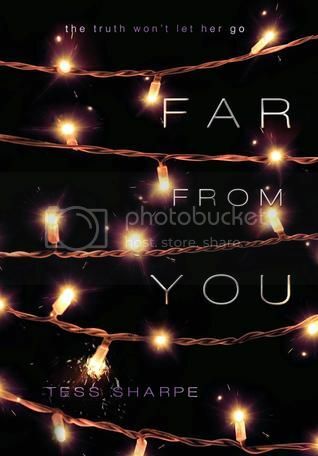 Far From You by Tess Sharpe is a book that somehow managed to slip under my radar. I had seen the book around the internet, but never really took the time to read up on it. After receiving a copy from the wonderful people at Disney Publishing, I decided to give the book a read. Now I am really, really glad that I did! Sophie, the main character in the story, has not had the best young-adulthood. She survived a car crash, barely, which lead to her addiction to pain medication. After sobering up, she and her best friend Mina have a confrontation with a masked gunman in the forest, which leads to Mina’s death, and the blame falling on Sophie. After a few months in rehab, Sophie returns home to a world that was completely different than the one she left. With the help of a few friends, Sophie sets out to find out exactly what happened in the forest the night Mina died. It was interesting reading the story from Sophie’s point of view, because we not only get to experience the story from her while she is clean and sober, but we also experience things from her while she was deeply addicted to pain medication. The story about her addiction was gritty and realistic. She did not have an easy time with everything that had happened, and even with other parts of her life that she couldn’t control. Escaping into her drug-induced bliss was the only way that she could cope. That just shows how imperfect this character was, but I still really, really liked her, and found her really relatable. The story is told in both present and past tense, the past tense being over a course of a few years. I thought going back and forth in the story would be confusing, but it wasn’t at all, and it was really more interesting reading the story this way. The storyline was completely mysterious and very addictive. I couldn’t stop turning the pages; I had to know what was going to happen, and what had happened in the past, and who the bad guy was. There were also quite a few surprises in the book that really caught me off guard. I read this book in a day, and that doesn’t happen very often with me lately. But I love it when it does! Overall; I really didn’t know what to think about this book when I first started it, and honestly I really didn’t know if I was going to like it, but the book proved me wrong. I enjoyed the book so much more than I expected to, and now I’m really looking forward to reading more from this talented author in the future. Definitely check out Far From You today! I saw the cover of this book and it caught my attention, but I've been putting it off because I don't really remember what it was about. I need to pick this up. It sounds beautiful and really emotional. I want to know more about these characters, thanks for the great review. Sounds like a good read. Great review!